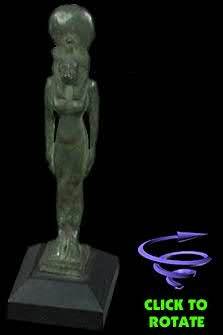 and crowned by the sun-disc with uraeus (cobra). a light and dark green patina. Provenance: From an old French collection. Height: 5 1/2 inches.................Price on request.